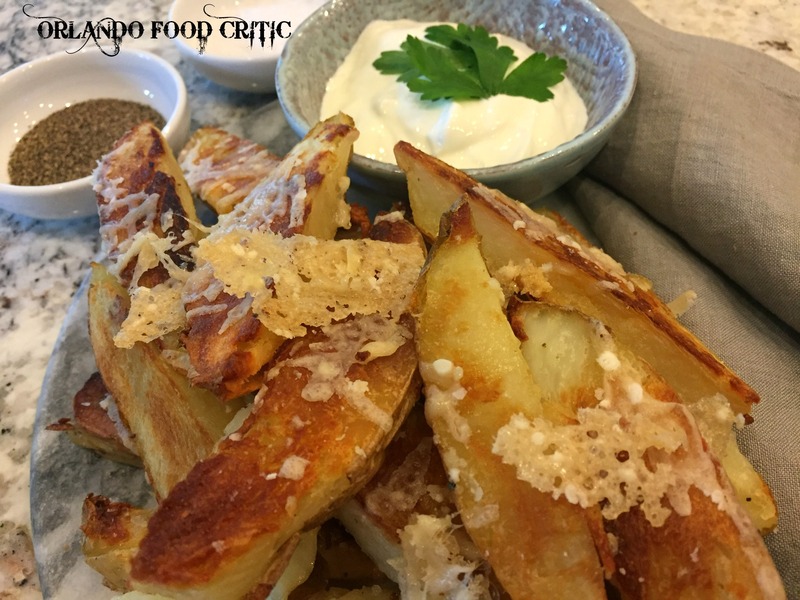 These simple to make potato wedges are a sure-fire crowd-pleaser, healthier than fried and tastier than frozen, you will be wondering why you never made them before now. 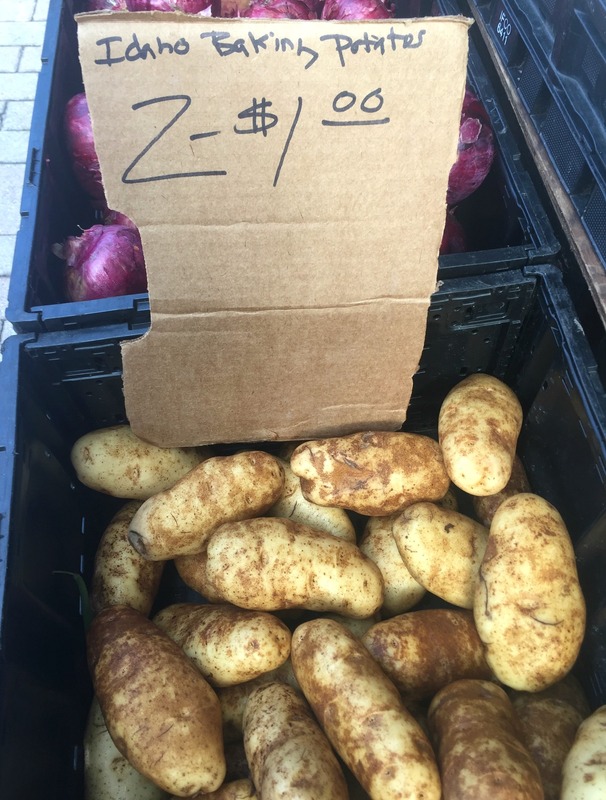 Allow 1 x medium Idaho potato per person – we of course got ours from the Winter Park Farmers Market! Scrub the potatoes clean and prick all over with a fork. Lightly coat the skins with olive oil and salt and rub into the skins until the potato is covered. Preheat the oven to 375°F. Place the potatoes on a baking sheet or lay them directly on the oven rack. Cook the potatoes for around 60 minutes. Increase the oven temperature to 395°F. Allow the potatoes to cool (enough so you can handle) then cut into wedges. Place on a foil covered baking sheet and sprinkle with olive oil and salt. Return the potatoes to the oven for around 15/20 mins until golden brown and crispy. Remove from the oven, sprinkle with a handful of Parmesan cheese and again return to the oven for a couple of minutes or until the cheese has melted. At this point you can add a sprinkling of your favorite herb or spice to make them your own.